Birthday Treat for my little sweet! I found another sweet recipe and blog! Truth be told this wasn’t the first recipe I tried (and loved) from Sally’s Baking Addiction. I’ve tried lots of sugar cookie recipes as we have a cookie decorating party every year for Christmas. 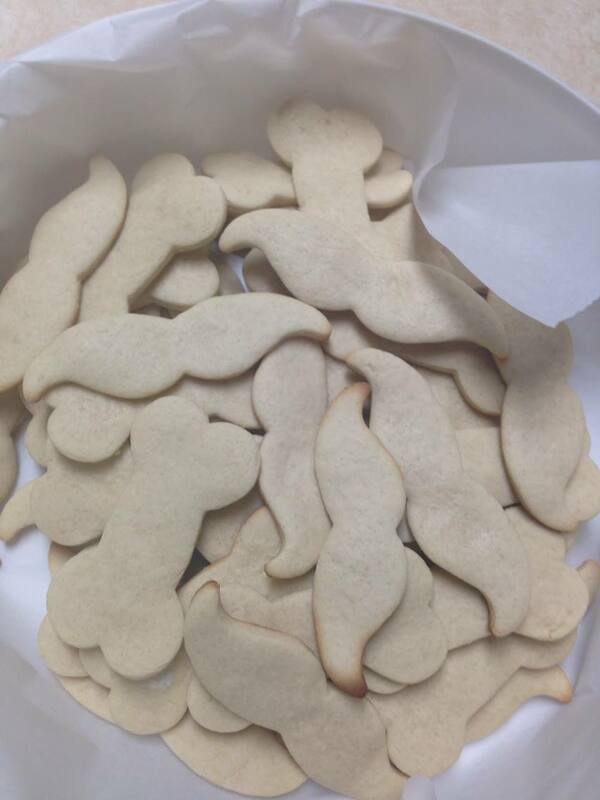 I found a keeper with Sally’s soft cut-out sugar cookies! So her advice about rolling out the dough before chilling and stacking with parchment paper – genius! worked like a charm. it was so easy to cut them out one piece of dough at a time. So yummy, no spreading or distortion of the shapes. The recipe easily doubled with no problems. I made mustaches and dog bones much to my daughter’s delight. 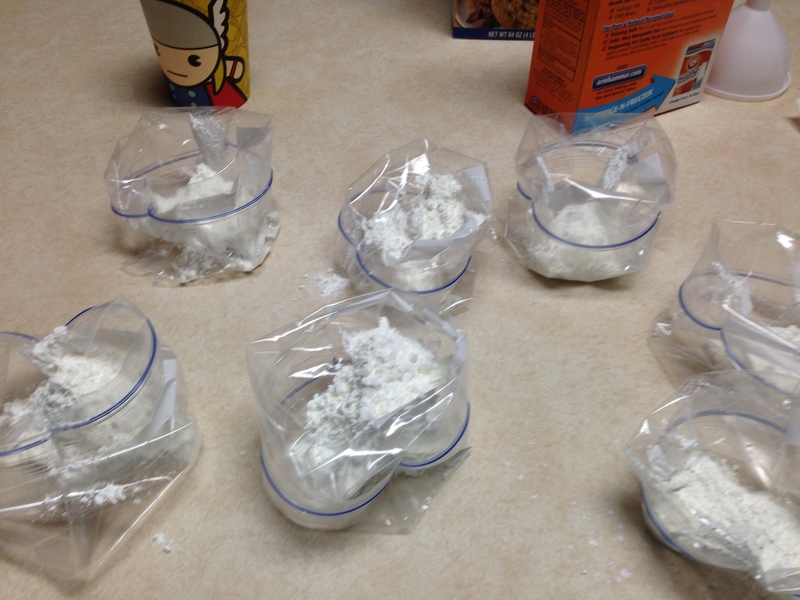 There is an activity that is a classic – baking soda volcanoes. The bomb bags are a fun update to this classic. This has to be one of the most requested activities here at our respite home. Very simple, very colorful and very messy. 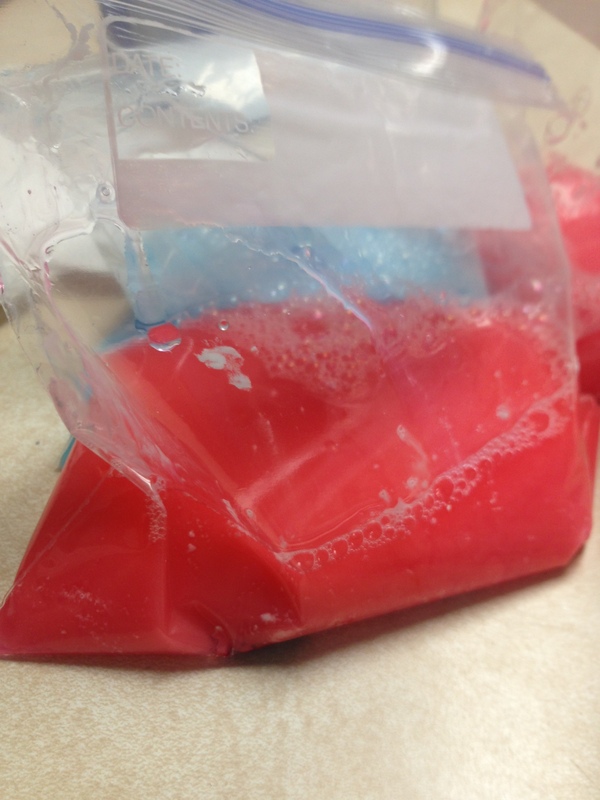 Step 1: Put 1/4 cup cornstarch, generous squirt of dish soap and couple drops of food dye in the freezer bag. Add about 1/2 cup of vinegar to the bag. Tip: Roll the top of the bag over about an inch or so. Put your hand in the bag and press down. It’ll sit up like a bowl like in the photo above. Step 3: Place a piece of paper towel flat on a counter and pour a few spoonfuls of baking soda into the center. Then fold the paper towel up around the pile. I tell the kids this is the detonator. Step 4: Go outside with the paper towel detonator and the freezer bag. have the kids put the detonator in the bag and then seal it up quickly. Encourage the kids to shake the bags or throw the bags. The bags swell up big like the picture above. It’s safe enough if they pop while the kids are holding them as long as it doesn’t get into their eyes. I also encourage the kids to walk through and stomp in the resulting mess. 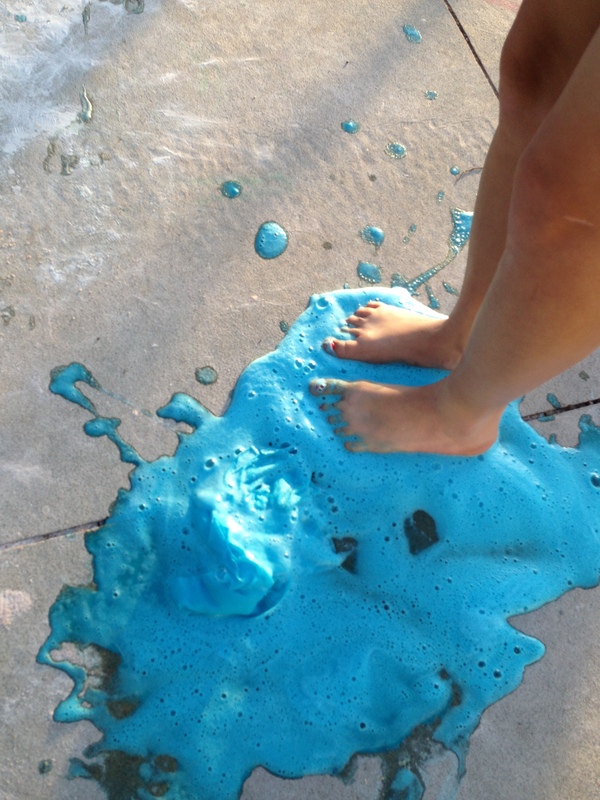 The chemical reaction caused by the vinegar mixing with the baking soda creates a cold soapy mess – perfect for a warm day. 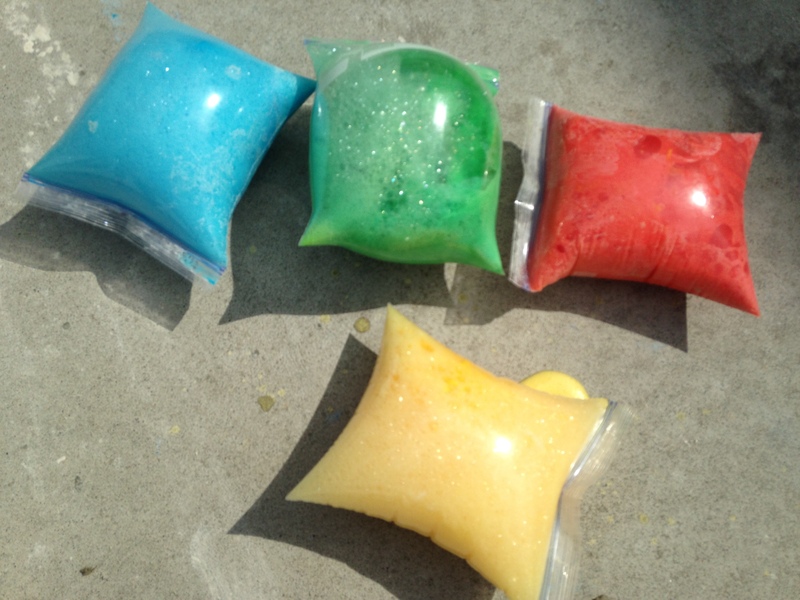 I added food dye, dish soap and cornstarch because color is fun, so are bubbles. 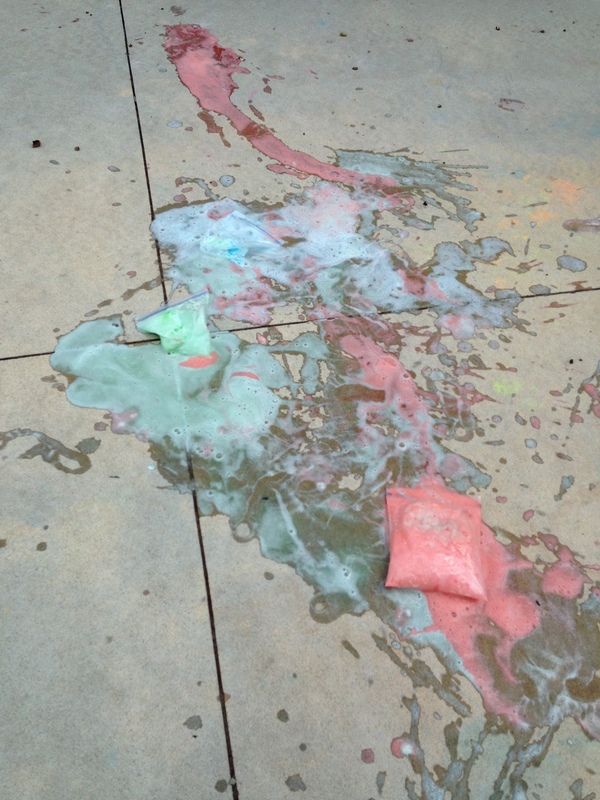 The extra ingredients make this fun science experiment messier and in a kid’s world – messier tends to be more fun. found a new recipe (and blog) that I fell in love with this weekend. Lemon Waffle Cookies at Created by Diane. Actually I think I love this recipe a little too much. Made a batch of lemon cookies and the 4 of us promptly ate them all. Next day I made a batch swapping out the lemon extract with anise extract and then promptly ate them all. maybe I should only pull out this recipe for special occasions. Yum!